Almost exactly thirty-five years ago a young conductor called Ali Rahbari left Iran to seek his fortune in the West. One of the first opportunities to arise, and one which he grasped with both hands, was an offer from the Colosseum label to record an extensive anthology of Persian art music with the Nuremberg Symphony Orchestra. The result was a boxed set of four LPs which almost immediately became a best-seller. 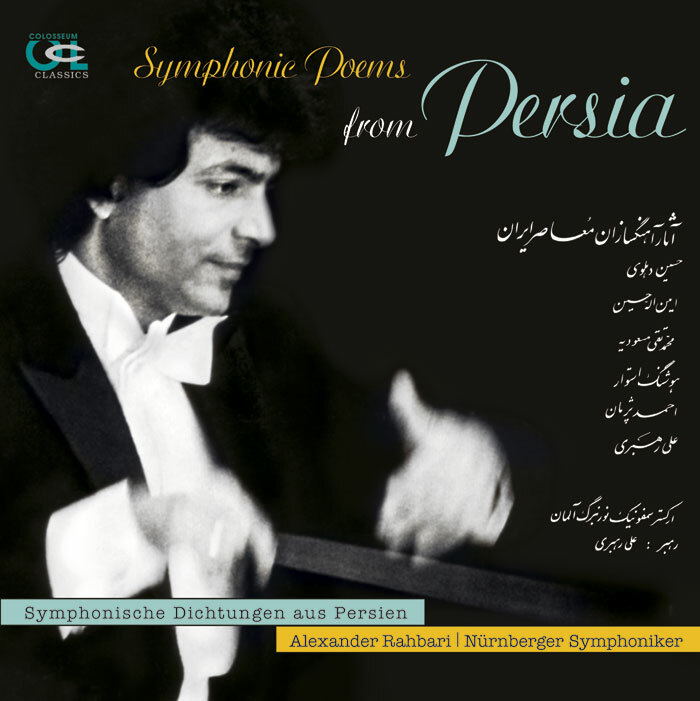 For the conductor who has long since been known to us as Alexander Rahbari the Symphonic poems from Persia made a perfect entry on to the European concert platform. As early as 1979 Herbert von Karajan invited him to conduct the Berlin Philharmonic, and Rakbari was quick to seize this opportunity too. The Nuremberg recordings and his Berlin debut were the keys to a great international career which took Rahbari all over the world conducting top orchestras and earned him multiple honours as well as several leading European posts as conductor, culminating in July 2005 in a remarkable personal triumph: returning to his homeland for the first time, he found a nation that had changed fundamentally, but when he conducted Dvořák’s “New World” Symphony and Tchaikovsky’s Fourth, he was showered with so much praise by public and press alike that he was appointed chief conductor of both the Teheran Opera and the Teheran Symphony Orchestra with immediate effect. At exactly the same time Colosseum had begun to remaster his unique recordings from the 1970s in order to reissue them digitally on two CDs. Alexander Rahbari’s sensational success in his homeland threw the spotlight on this project. Aminollah Hossein’s Sheherazade, Hossein Dehlavi’s ballet Bijan and Manijeh, Rahbari’s own Persian Mysticism in G and the other works inspired one way or another by Persian music – all reveal a very different Persia from the one we so often see flickering on the small screen.